Manufacturing your products in China is an effective way to grow your business and improve profit margins. It is also a huge challenge for many business owners who have worries about the process or are unsure about the questions they should be asking. Challenges in the manufacturing process will arise no matter where you choose to manufacture your products but being aware of what those challenges might be and being prepared for them, is key for the successful growth of your business. The GHL Sourcing team have first-hand experience of the challenges and concerns involved in manufacturing in China and how to overcome them. This post looks in more details at one of the most common concerns of business owners looking to offshore; time scales. How long will it take to develop my product? How long will it take to manufacture my product? A rigorous sampling and prototyping stage is extremely important in product development and getting it right will save you time and money later down the line. But how long does prototyping take? This part of production could be achieved in a week or could take years. It is very dependent on the product and the stage at which it is at. When you think about companies like Nike and Dyson, this phase of their production takes years if not decades to get right. However, this time is not wasted and their efforts are rewarded with great innovative products. So don’ be hasty! Don’t put an artificial deadline on a project unless you are willing to compromise on the end product. We often hear stories of production being months overdue so it is no wonder that this is a common concern when offshoring manufacturing. If the sampling and prototyping stage has been completed effectively, delays in production should not be an issue. A good manufacturer will have a production schedule and therefore be able to give you a realistic timescale for your product. Our manufacturing teams in China use effective production schedules and are able to tell our clients how many orders are awaiting production prior to theirs and when their orders will be fulfilled. As long as the factory has an efficient production schedule, the only other reason for a delay in manufacturing is a mistake or an event beyond their control. A good example of this was in March 2017 when there was a national shortage of cardboard cartons in China. The Chinese government had started to implement environmental policies and as a result, factories producing cardboard were being closed down. One of our own factories in Xiamen experienced a problem at this time. They could not order boxes at the correct price to ship several containers of goods that were due to be delivered to a client. BUT rather than saying nothing or simply increasing the price charged to the client for the boxes, our excellent lines of communication allowed for the factory team to tell us about the problem. We contacted our other factories and one in Hangzhou was able to help. The result was no delay in the order and no price increase for the client. There are various ways to get your products to the UK from China as we explored in this post but no matter how they are being delivered, shipping your goods takes time. If you are using air freight it IS possible to get goods from China to the UK in 3 days but you will pay a heavy price. The standard service takes around 5 days but there is also a slow service which can take up to 10 to 14 days. Ocean freight takes around 30 days on the water and an additional 3 days either side for loading and unloading. There can sometimes be delays in loading when there is bad weather but the majority of the time, delays here are due to the number of goods going through a port. It is worth noting that delays can be longer if you are using a small freight company and sending an LCL shipment. Essentially because they will need to wait for space in a container. Again having open lines of communication will avoid this being an issue. If you are approaching a busy season like September/October (Christmas) or January/February (Chinese New Year), make sure you book your shipping in advance to avoid issues. Product development takes time and the prototyping/sample phase can be a long process. However, it’s vital you do this correctly to avoid problems in the manufacturing process and to make sure you have the correct product. There is no general rule when it comes to sampling lead times or production lead times and this will vary with each product and each project. If the lines of communication are open with your manufacturer and you are being kept informed of progress and problems encountered, timescales should not be an issue. 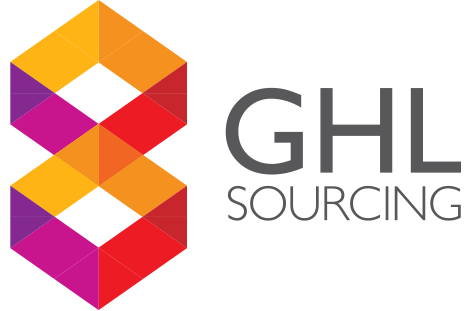 If you would like to talk through your concerns about offshoring your manufacturing or find out more about how GHL Sourcing can help you, click here to book a no obligation chat.